We are delighted when reviews come in for our books, and this week we are thrilled to receive a five star review on Amazon for our charming poetry book, Knickerbocker Glory from author Dakota Douglas. We are so pleased that she appreciated the sentiment behind each poem and also that she took the time to listen to the audio version on iBooks. Wonderful! Growing up, I spent many school holidays in a caravan in the seaside village of Seahouses in Northumbrland, England. Many times, I’d pop into Coxon’s ice cream parlour with my brother, mother and father. Sometimes to escape a sudden downpour, or a rare sweltering day or simply because we loved ice cream and couldn’t resist the pull. Sitting across the formica table from my parents, I’d demolish a cone topped with vanilla ice cream and lashings of raspberry sauce (us kids called it monkey’s blood) that dribbled through my fingers as big-eyed I watched my mother spoon mouthfuls of Knickerbocker Glory from a tall glass. It was the most expensive item on the menu. The name was exciting and the contents exotic. There were never-ending layers of ice cream, jelly, different fruits, nuts, whipped cream, flaked almonds and syrup, all crowned off with a glace cherry. Yum! Sometimes my mother couldn’t finish it, but us kids were ready and able to face the challenge. And sometimes (perhaps if I’d been especially good), I was treated to one all on my own – and no one needed to help me finish it. 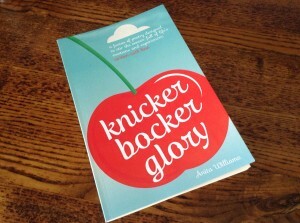 Anita Williams first poetry book is aptly called Knickerbocker Glory. It’s packed with as many ingredients as the yummy dessert including everyday subjects such as enjoying fish and chips at the seaside or touching wet paint. The collection is a witty and thought-provoking celebration of the beauty and simplicity of nature and what you can find in simple items and activities. There are several recurring themes including learning from past and present mistakes, looking forward with optimism and cherishing each moment. The poems are of different lengths, paces and rhythms. They feature some nice word usage and are brought to life with audio, which for me captured missed nuances on first reading. My favourites were those with short punchy sentences found in A Building Site Symphony and Treadmill. They did for me. 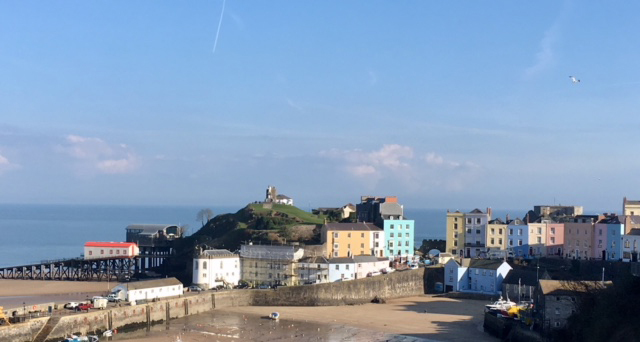 They brought back memories of sceeching seagulls, the tang of seaweed or waft of fish and chips on the breeze, the feel of cold water tickling my toes as I paddled through rock pools and most of all – a big grin on mine and my brother’s faces as we tucked into a Knickerbocker Glory. This entry was posted in Apple iBook Edition Books, Available on Amazon, Books for sale, Google Play Store Edition Books, Kindle Edition Books, Knickerbocker Glory Poetry Book, Poems, Poetry Books and tagged book review, chamring poetry, Christmas gift, five star review, heart warming poems, knickerbocker glory poetry book, poems about life, Poetry book, poetry gift, poetry review, success for knickerbocker glory by Writtenwithasmile. Bookmark the permalink. Would you like to review Knickerbocker Glory? Authors thrive on reviews and recommendation and we would be delighted to hear your thoughts. Next → Next post: Poetry distraction!